My inalienable right to express myself freely as given to me by my creator and ordained in the U.S. Constitution, shall not be abridged by the misguided militant Marxist-thug-warriors roaming the streets of America these days trying to bully me into silence. They rampage through the streets throwing bricks and hurling obscenities while claiming to be anti-fascist. The truth is most of these self appointed saviors of the world cannot even define fascism for if they could they would need look no farther than the mirror. I can guarantee some punk-child raised in an elitist home and led to believe the fallacy that they are the most important person in the world and their beliefs are the most important, will not cow me into silence. I will not yield my First Amendment rights to these imbeciles just because they think they can intimidate people with their Che Guevera thug-squad inspired riots. I will not step aside and quietly allow their worship at the alter of stupidity at the expense of The United States Constitution. I will speak up and I will be heard until my last breath. As I pointed out, it is my God given right and it is not theirs to take. Without the Freedom of Speech there is no America. Trust me. If we cannot openly and freely proclaim our ideas from the mountaintop then there is no mountaintop left to defend. Attention to all of you on the left, this is what you have created. You have encouraged hatred. You have been the shepherds of sore losers and you have molded them into a bubbling cauldron of ignorance and violence. You have fostered and spread lies about your fellow citizens and your neighbors in pursuit of your misguided political agenda. You are so completely self-absorbed you have completely lost track of the things you claim to defend. What are you going to do next? Will you be renting bulldozers so you can push books into huge piles in such Progressive strongholds like Berkley, California, Portland, Oregon, Seattle, Washington and New York City just before you set them all ablaze? It would seem that is the next logical step for these entitled snot-nosed kids that were sent off to receive quarter million dollar ‘educations’ and came back from their ‘re-education camp’ as willing soldiers for the resistance. The big question is: what exactly are they resisting, the need or ability to think for themselves and to apply reason? 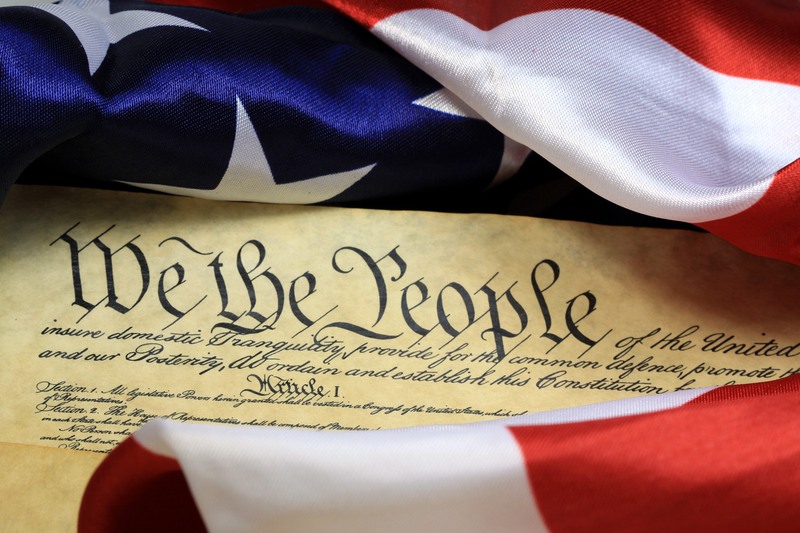 It is time for the clear thinking people who remain on the left (if there is such a thing still living in the wild) to call for an end to the massacre of all things we hold dear in our founding documents and most importantly our Constitution. I have heard some scattered voices crying out from the darkness of modern day fascist liberalism like Bill Maher and Elizabeth Warren saying free speech is the foundation of this country. It was also part of the foundation of the Democratic Party at one time. Sadly, I also hear radical Marxist ideology from people like CNN morning anchor Chris Cuomo and former Vermont Governor Howard Dean who say, “hate speech isn’t protected by the first Amendment.” Actually it is protected. There isn’t a line in the Constitution that reads, you have the right to speak unless it upsets or offends someone. The group that calls itself ‘Antifa’ which is short for anti- fascist, is so misguided that the many of the very things they do are exactly what the rising fascists did to gain control of places like Germany in the 1930’s. Attacking, setting fires, bullying and otherwise blocking the free expression of other people’s ideas just because you disagree, is what led real patriots to create the United States in the first place. Great men and women put everything they had on the line for this great experiment in self-government. Their fortunes and their lives were put at risk. Many lost their lives in the struggle to break the bonds of government control over their lives. They put everything on the line to fight for something bigger. They fought for something that was bigger including life, liberty and the pursuit of happiness. Which included the freedom to think and act as they found appropriate. I wish I could say our leaders in Washington still do that today but sadly they don’t seem to be so selfless and patriotic on most days. Too many are corrupted by the power and the greed that is encouraged by the status conferred upon them by the privileges they gain in DC. Many become wealthy beyond imagination simply by getting elected a couple of times. They are too timid to put their own self-interest at risk for saying and more importantly doing what is right. They would rather allow illegal aliens to invade our nation and take over portions of our cities than to speak up and risk being labeled as racist or xenophobic by the violence-driven mobs of Antifa. They would rather your life is put at risk than to say enough to the radical children running in the streets of college towns all across America. It is time that the rest of us do it for them. It is time to put radical hate groups like Antifa on notice that my God given and Constitutionally defined rights will not be trampled by the likes of intellectually challenged lowlifes like them. By it’s very nature Antifa has demonstrated it is a hate group. It attacks Christianity. It attacks white people. It attacks the freedom of speech and assembly. It attacks the very foundation of the country that has allowed them to speak freely while trying to destroy anyone with another idea or a different perspective. Antifa is anathema to what we collectively stand for as a nation and as a people. Antifa must be destroyed, not with violence (though we should not back away from being confronted) but with education. It is clear that those that raise their pitchforks against free speech have failed to grasp the basic understanding of liberty and freedom. It is time we showed them the way. They can either come quietly or they can fight us but I will not surrender my Constitution to a bunch of thugs running through the streets calling other people names they don’t even understand. I wonder if they even know who Voltaire is or what he is most famous for saying. Do you? Excellently put, Steve. Preach it, brother! And what degree do you have? Did you even complete college? Carmen, the lack of college indoctrination is the reason many of our citizens still have a strong grasp on reality. People like yourself have no well rounded real world experience(foundation), but that doesn’t stop you from praising others like yourself for being coddled and pampered in a university of VICARIOUS study. Have yourself a circle jerk with your own kind. You won’t get any respect in the real world till you give the real world your attention.